This chalk fed river rises on the Yorkshire wolds north of Driffield. The upper tributaries are designated Sites of Special Scientific Interest ( SSSI’s). The designation is made to protect this system of chalk streams as they are important for the many species of aquatic plants and animals indicative of the chalk habitat. The Trust is working with the Environment Agency on a Restoration Project to identify and address the siltation and enrichment problems that are damaging this chalk river system. The upper river is important for its brown trout and grayling. Fish species on the lower river include Bream, Pike, Roach, Dace, Chub Lampreys and Eels. Numbers of mammals including the Otter and water vole are at a healthy level throughout the catchment. The Chalk Wolds of East Yorkshire are the source of spring fed streams, or becks, that make up the River Hull catchment, forming perhaps the most northerly region of European chalk streams. These chalk streams provide important corridors for wildlife and the major water courses are designated SSSI’s. Separate to the River Hull system is the Gypsey Race, the most northerly winterbourne chalk stream in the East Riding of Yorkshire. 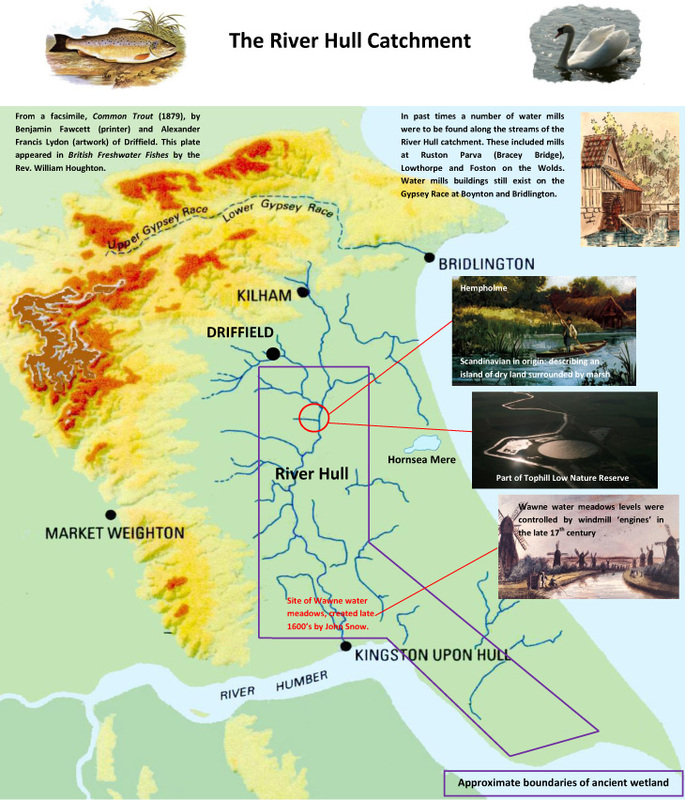 Pre-history, the Gypsey Race possibly linked to the River Hull system at Kilham but its course may have been later blocked by glacier action. It now discharges into the North Sea at Bridlington Harbour.